BW Pest Control - Pest/Vermin Control based in Bromley, Kent. 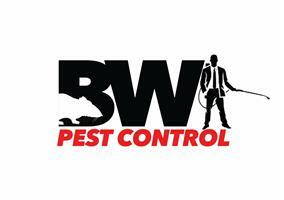 BW Pest Control provide A discreet Service for both domestic and commectial customers throughout London and Kent. We have a number of Solutions to any problems !! Here at Bw Pest Control I humanely remove all kinds of vermin and pests . I am a qualified exterminator covering the London and Kent area with many years of experience. We understand this could be personal or private and you do not want the problem advertised, therefore our vans are very discreet, unlike many companies out there!! We have even gone as far as no logo clothing so we’re 100% unnoticed when working in your home or Business. At the moment we have a special offer for commercial customers, we will supply all rodent boxes, insect monitoring, relevant paperwork for your business and an up to date diary free of charge. We always take time with our customers to insure any treatments we use are 100% safe and effective. We understand every job is different from the last, and that pest control is a partnership between yourself and us. Call today for free help and advice. Please watch our videos to learn more about our business and what our customers think of us, follow the link below. London and Kent. If you're seeing this advert, we cover your area.